These foods contain different goitrogenic activity levels. For example, spinach, strawberries and peaches are considered mildly goitrogenic, while broccoli, cauliflower and kale are more actively goitrogenic. Mildly goitrogenic foods don’t affect hypothyroid issues as much as cruciferous vegetables, such as brussels sprouts and broccoli. If you suffer from hypothyroid problems, eat these foods in moderate amounts and if you eat the first 6 items on this list, be sure to cook them. Goitrogenic affects are minimized through cooking. For example, make broccoli soup, steam veggies, make a stiff fry, or roast your veggies in the oven. I ask all of my patients to avoid peanuts and soy – permanently. This includes any food that contains soy such as, tofu, tempeh, soy lecithin and soy protein. The food industry wants us to believe that soy is healthy for us but it is a common allergen and weakens your digestive system. Read labels carefully as soy is being used more and more in products as a protein and inexpensive filler. Bottom line, stay away from soy, it is even more of a problem when you have a hypothyroid condition. 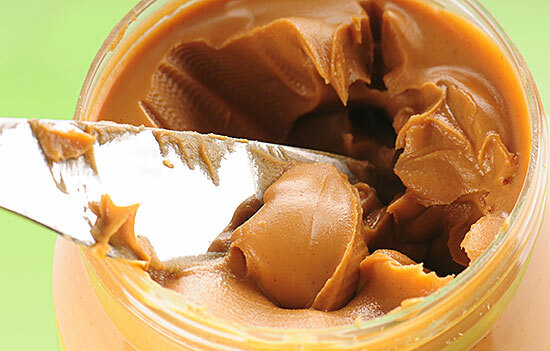 Avoid all foods that contain peanuts such as peanut butter, peanut sauce and peanut oil. Peanuts commonly contain a toxic mold called aflatoxin, a carcinogen that can cause liver damage. Instead, eat other raw nuts and seeds such as almonds, cashews, walnuts and pumpkin seeds and store them in your refrigerator. How Do Goitrogens Affect the Function of your Thyroid? Goitrogens impair your thyroid gland by disrupting the metabolism of iodine. 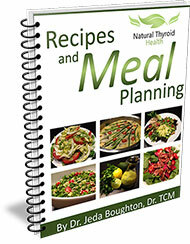 It isn’t possible for your body to produce thyroid hormone without iodine. If you suffer from hypothyroidism, your thyroid problem can become worse by eating too many raw goitrogens. Can Goitrogenic Foods be Useful for Hyperthyroid Patients? There are hyperthyroid sufferers who eat goitrogenic foods in an attempt to control their symptoms. Some hyperthyroid conditions are caused by the lack of iodine in your body, so messing with iodine metabolism by eating goitrogenic foods is not the answer. My advice to hyperthyroid patients is the same: lightly cook the top 6 items in the list, eat the next 4 in moderation, and avoid soy and peanuts all together.